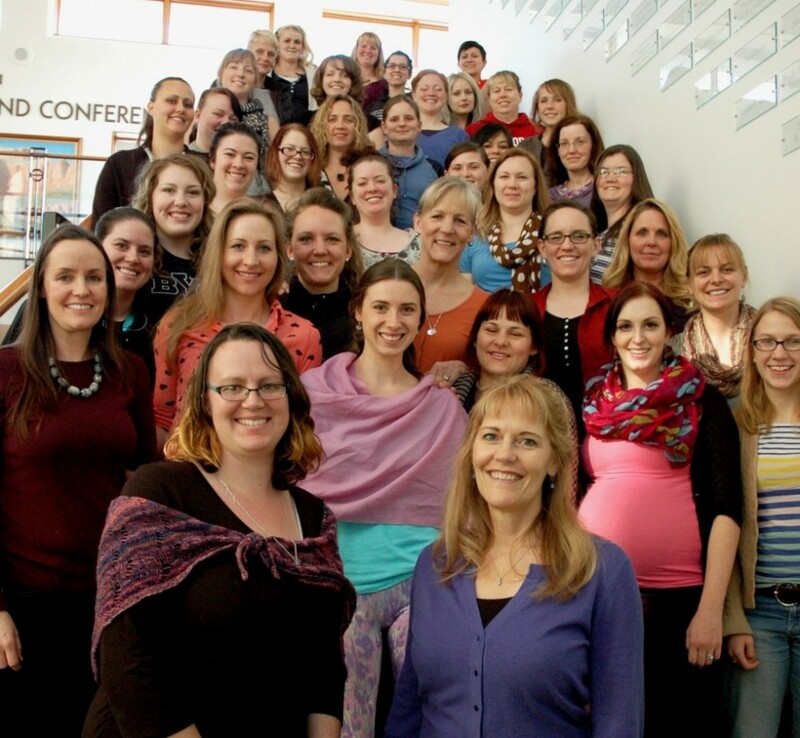 Midwives College of Utah offers two midwifery degree programs: a Bachelor of Science in Midwifery (BSM), and a Master of Science in Midwifery (MSM). The degree programs are accredited by the Midwifery Education Accreditation Council (MEAC) which is an independent, nonprofit organization recognized by the U.S. Department of Education as an accrediting agency of direct-entry midwifery institutions and programs. Postpartum doula and childbirth education certification is also available through the college along with continuing education courses for doulas, midwives, health professionals and community members. Please refer to the Student Handbook for your year of enrollment for specific details regarding your program. The BSM program will prepare you for entry-level practice as a direct-entry midwife and meets the educational requirements for applying to take the North American Registry of Midwives (NARM) examination and to receive the Certified Professional Midwife (CPM) designation. Some states may require additional clinical experience or a higher degree. MCU’s BSM program meets and exceeds the MEAC Core Curriculum Competencies in preparation for the midwife’s role of primary care provider for healthy women during the childbearing year. BSM students will work through three phases of coursework that prepare and correspond with the clinical track of the student-professional midwife: birth observer, assistant midwife and primary midwife under supervision. After the didactic and clinical work for each phase has been completed, students will be assessed to identify strengths and weaknesses in their learning and skill level. Assessments must be passed to move from phase to phase, but are primarily considered as learning tools geared toward adult learners. When a student progresses from phase to phase, they can be assured of their ability to confidently and safely provide evidence-informed care to the women and families they serve. In addition, students will have the opportunity to explore traditional midwifery arts such as homeopathy, massage, reflexology, aromatherapy, fertility awareness or engage in community projects. BSM graduation requirements include successfully passing the NARM exam or the MCU Comprehensive Exam. MCU offers a rigorous program that is designed to prepare students for the rapidly changing landscape of maternity care in the 21st century but honors the process of lifelong learning. For students enrolled before Fall Semester 2016, the BSM degree is designed to be completed in four years with a maximum time frame of six years. Students enrolled in the BSM program from Fall Semester 2016 forward will have a maximum time frame of 7.33 years to complete the degree and could finish in 3.33 years. Progressing through the program in a timely manner requires you to finish approximately 7-9 academic credits every four months, and work with a preceptor(s) that has a sufficient birth volume for you to obtain the required clinical experiences. Students with previous college experience or degrees will receive a transcript evaluation and all relevant transfer credits can be waived. Students with extensive life-experience are also encouraged to apply for portfolio evaluation and credit waivers. A current CPM can apply to the bachelor’s program and will receive credit for her CPM designation. The MSM program is designed for current CPMs & CNMs, and is a research-based program aimed at nurturing the next generation of midwifery leaders, educators, and advocates. At the beginning of your program, you will work closely with the Graduate Dean to develop an Individualized Development Plan (IDP) that will help tailor your graduate studies. Coursework includes research methodologies, professional development topics (such as midwifery education, community mother and child health, holistic midwifery), critical studies in midwifery care, and fieldwork-based experiential learning. Additionally, you will complete a research-based thesis or non-thesis applied project, in which you will make an original, substantive contribution to midwifery care and maternal-child health. You will also engage in professional and academic experiences, such as conference presentations, graduate seminars, and opportunities for publishing. Your work in the graduate program will be guided by a MSM committee, consisting of one primary advisor and at least two additional MCU graduate faculty members. Eligibility for the MSM program is as follows: 1) must hold a Bachelor’s degree in any field; 2) must be or have been recognized as a midwife by regional, national or international certification or licensure. Traditional or community midwives without past or current proof of certification/licensure may choose to prepare a portfolio demonstrating the experiences and training they engaged to become a midwife; and 3) must complete SOSC 1010 (Equity and Anti-Oppression in Midwifery Care: Understanding Difference, Power, & Privilege), SOSC 2050 (Ethics & the Law) and STAT 2010 (Principles of Evidence-Informed Practice), or demonstrate course equivalency. These three courses can be completed as part of your graduate program. The MSM program is designed to be a two-year program; however, you can have a maximum of four years to complete the program to accommodate individual progression. A full-time student is expected to complete at least four credits per trimester, and a part-time student is expected to complete at least 2 credits per trimester. Completion of 32 academic credits as outlined for the MSM degree. At least 50% of these courses must be MCU courses if you are transferring in applicable credits. All courses must be passed with at least a C grade and a minimum, cumulative GPA of 3.0. You must also pass your written and oral defenses, as determined by your committee. *Traditional or community midwives without past or current proof of certification/licensure may choose to prepare a portfolio demonstrating the experiences and training they engaged to become a midwife. Midwife status must be established by your anticipated start date in the MSM program. You will receive an official acceptance notice via email. You must pay your Annual Student Fee and Acceptance Processing Fee immediately. You will submit the Enrollment Agreement by the specified deadline. You will finalize your Major Map. You will submit the Financial Agreement by the specified deadline. You will prepare for courses and your first day of school as an MCU student!